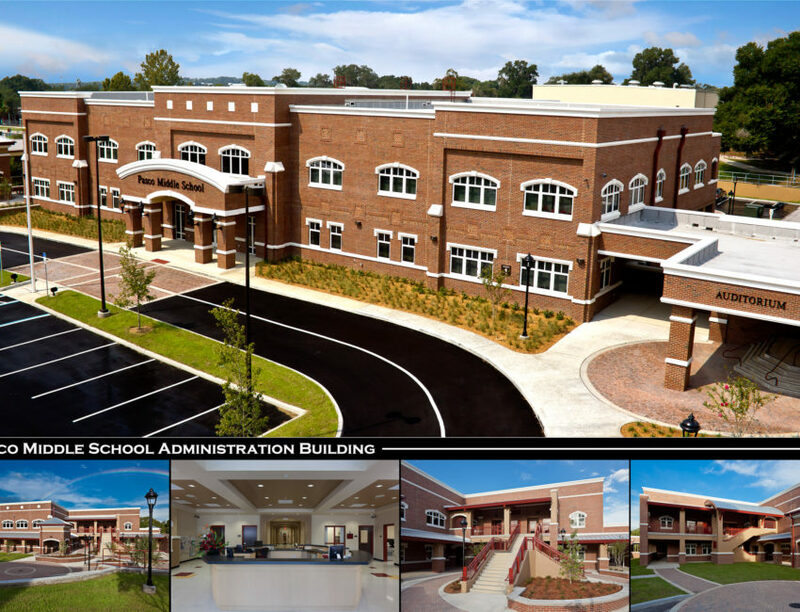 Pasco Middle Administration – Spring Engineering, Inc. 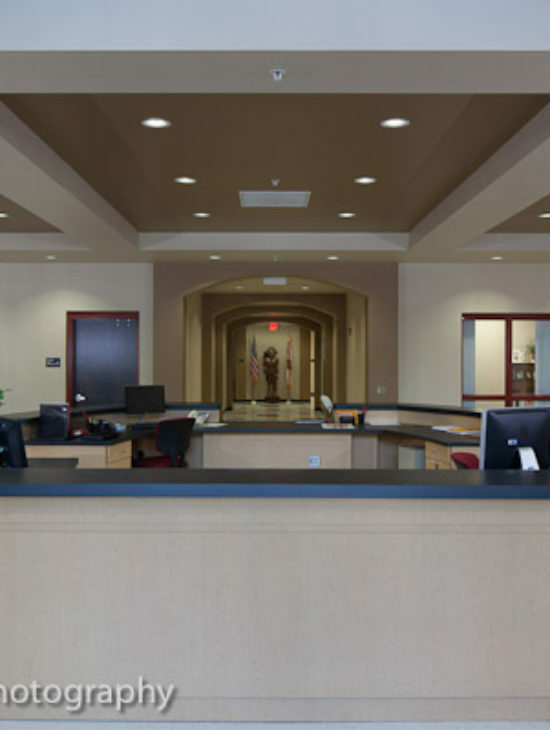 In 2009, Spring Engineering, Inc. was tasked to provide Pasco Middle School, located in Dade City, with a new two-story administration office and classroom building. This new building was unique in that it was to replace the existing main building that had become a historical landmark to the community but was not economically feasible to maintain. Architecturally, the new facility was to maintain the historic nature of the campus while providing a new modern environment for the student population. 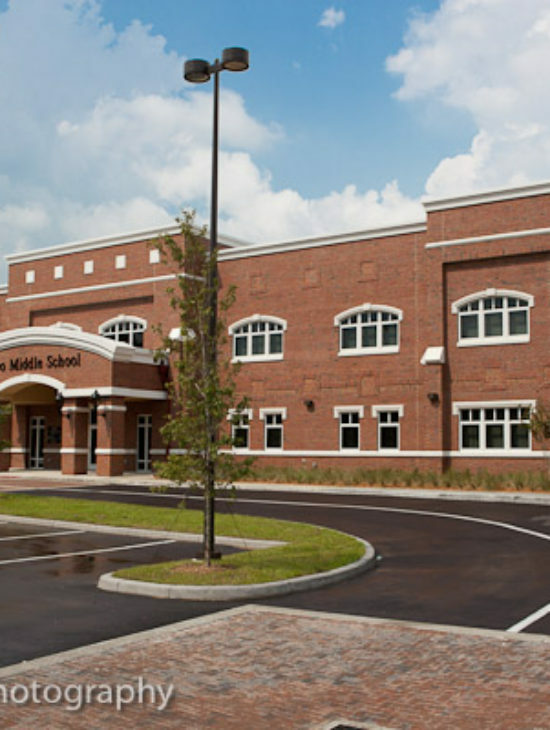 Detailed brick work and precast moldings reinforce the traditional style along the front of the structure while the rear echoes the new style incorporated in the new classroom building that was constructed the previous year. The new facility is a hardened hurricane shelter (EHPA) and consists of nine standard classroom units, three modern science labs, a computer lab, teacher planning rooms, multi-use spaces between each classroom pod and the main administration offices for the campus. Due to the EHPA requirements, a separate generator building was incorporated that reflects the same style of architecture. The scope of work provided for this project included but was not limited to: castaldi analysis, programming, addressing existing site conditions, site design, 3D renderings and new construction.